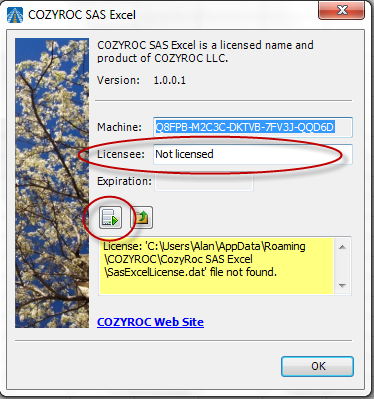 Introducing the COZYROC SSIS+ library with support for integration and migration of SAS data. 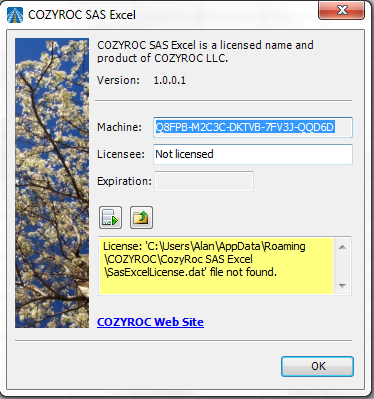 Available on the market since 2010, COZYROC makes it easy to integrate or migrate data to and from SAS. You can use any application, service or database supported by SQL Server Integration Services (SSIS) or COZYROC’s toolkit as the source or destination for SAS. The toolkit is easy to use and follows the same guidelines and principles used by the standard out-of-the-box SSIS components. Retrieves data from SAS sas7bdat dataset. Inserts data in SAS sas7bdat dataset. 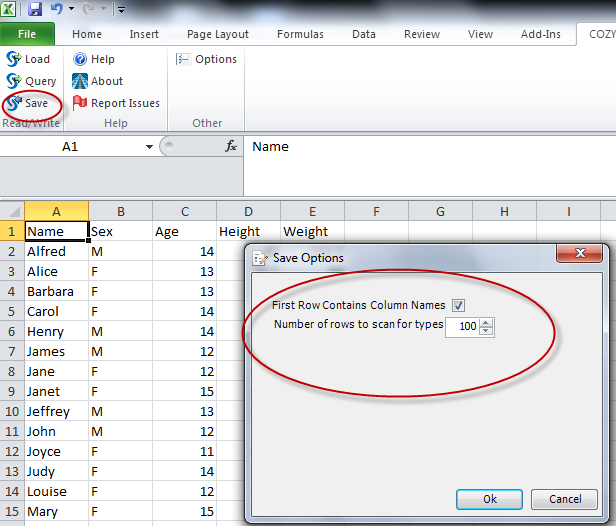 Ability to specify input column format and informat. Premium component SAS Data Source Component is SSIS Data Flow Component for consuming data from SAS's sas7bdat files. The configuration parameters are provided in the standard data flow source component dialog. Where can I find the documentation for the SAS Data Source? New: 350% reading performance improvement. Fixed: Component failed with error 'Index was outside the bounds of the array." during initialization when having more than one component executing simultaneously (Thank you, Sam). Installation of the AddIn is a simple setup.exe. This setup does require administrator access and needs to be run as administrator for installation. The Load button will open up a file dialog where you can specify a sas7bdat file to open. Upon opening, the data will be placed into the Excel spreadsheet. Data is placed starting at the current cursor location and filling in the spreadsheet. Conversions will be made to the appropriate type in Excel (SAS chars --> Excel strings, SAS numerics --> Excel floats). 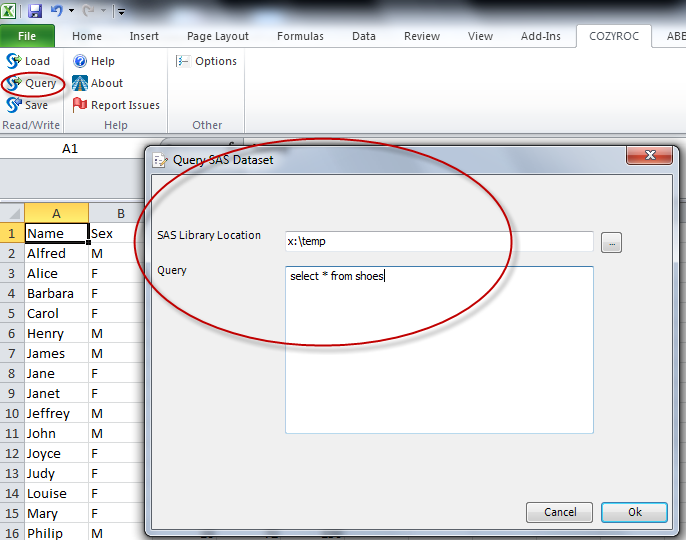 The Query button allows you to bring up a window that can be used to query a SAS dataset using basic SQL commands. The Save button will save a single Excel file to a single SAS dataset. 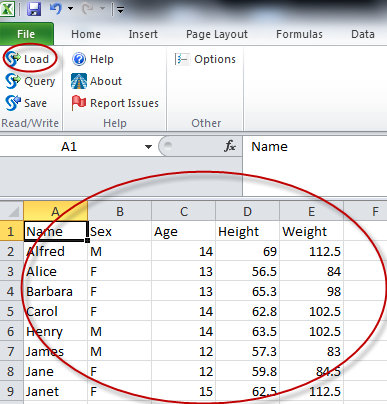 This indicates whether the first row in Excel will contain the names of the SAS variables. This represents the number of rows to scan to determine whether a column is a numeric or character. If, while scanning rows, the engine detects any chacarter,the variable in SAS will be a character variable. Saving always starts using row/column of A1 and does not save from current cursor location. The Help option takes you to this page on the CozyRoc website. The About screen will show information such as the version number and the licensing information for the product. Here is a sample of the About page. For licensing the product, put in the Licensee name and then press the button to obtain the license key from the server. If you encounter any issues, want to make a suggestion, or tell us pros/cons of the product, press this button to be directed to the COZYROC website. A representative of COZYROC will get back to you as quickly as possible. * SAS and all other SAS Institute Inc. product or service names are registered trademarks or trademarks of SAS Institute Inc. in the USA and other countries. ® indicates USA registration.